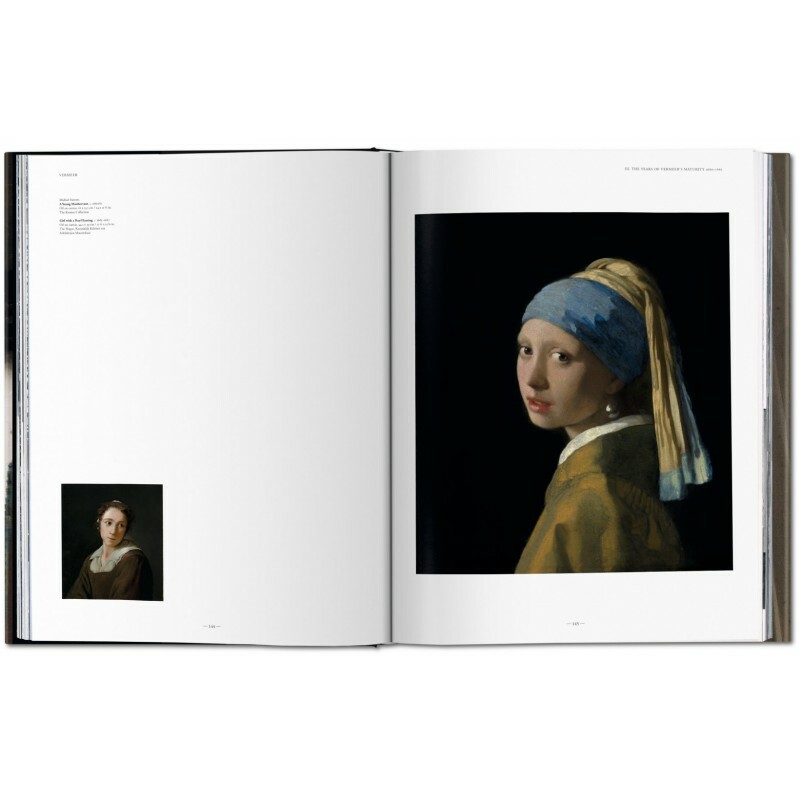 His works have prompted a New York Times bestseller; a film starring Scarlett Johansson and Colin Firth; record visitor numbers at art institutions from Amsterdam to Washington, DC; and special crowd-control measures at the Mauritshuis, The Hague, where thousands flock to catch a glimpse of the enigmatic, wide-eyed, and enchanting Girl with a Pearl Earring, also known as the “Dutch Mona Lisa”. 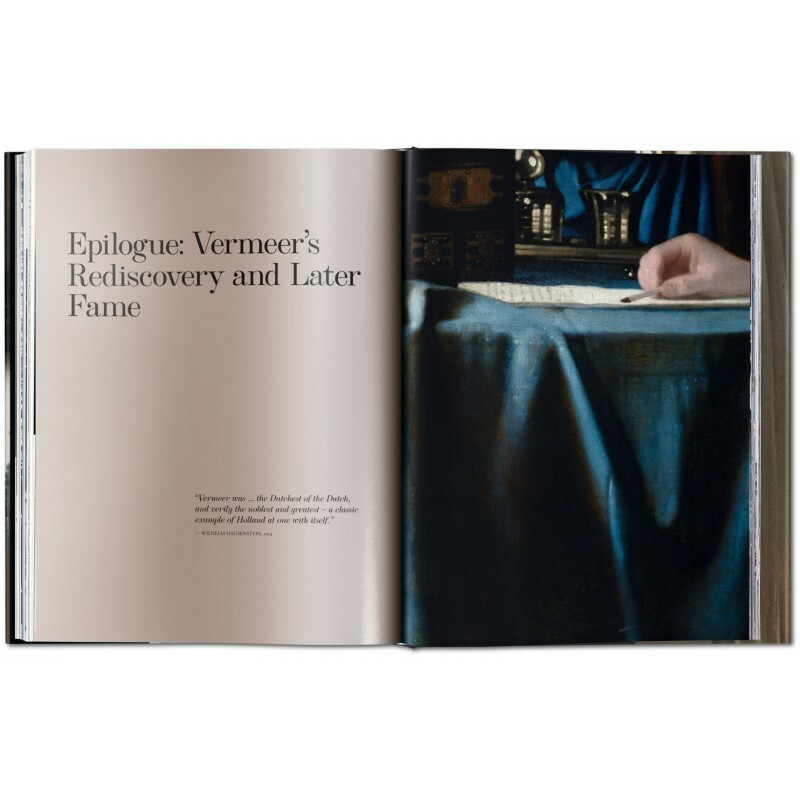 In his lifetime, however, the fame of Johannes Vermeer barely extended beyond his native Delft and a small circle of patrons. 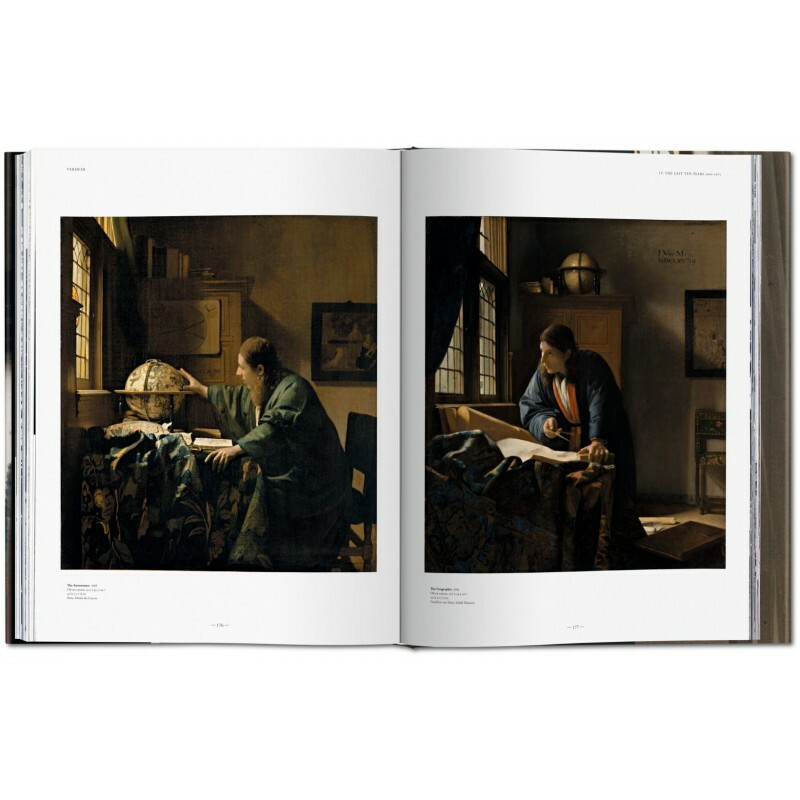 After his death, his name was largely forgotten, except by a few Dutch art collectors and dealers. 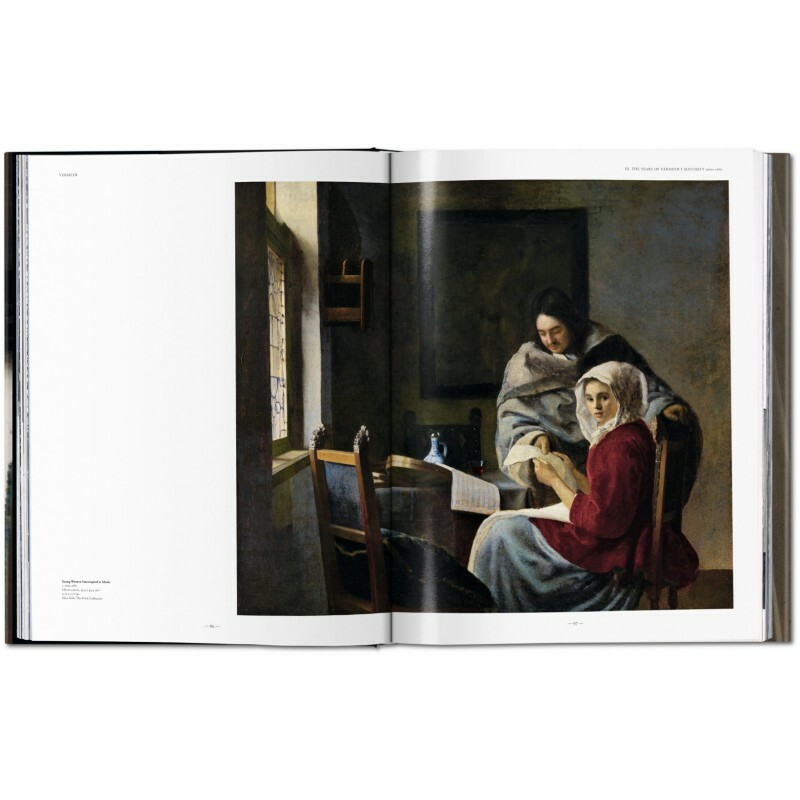 Outside of Holland, his works were even misattributed to other artists. 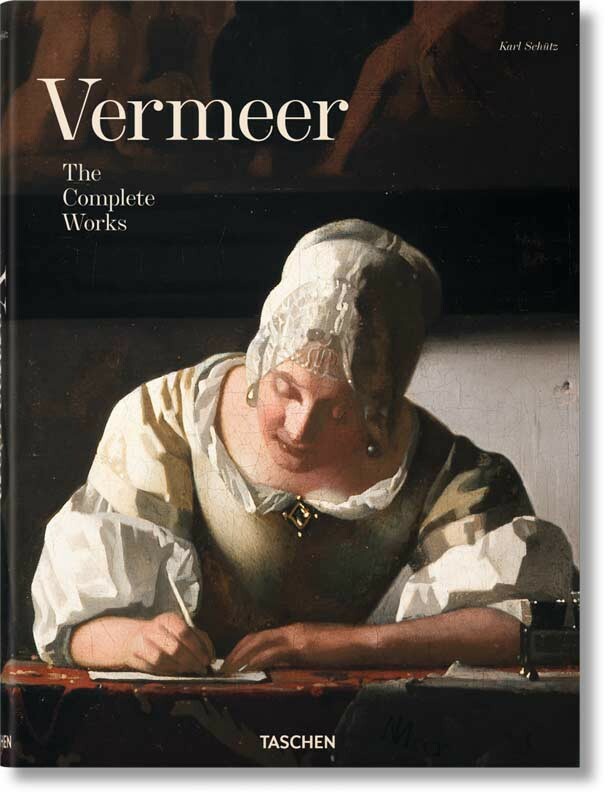 It was not until the mid-19th century, that Vermeer came to the attention of the international art world, which suddenly looked upon his narrative minutiae, meticulous textural detail, and majestic planes of light, spotted a genius, and never looked back. 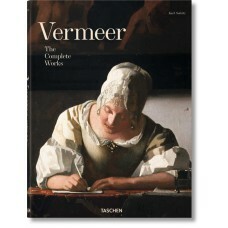 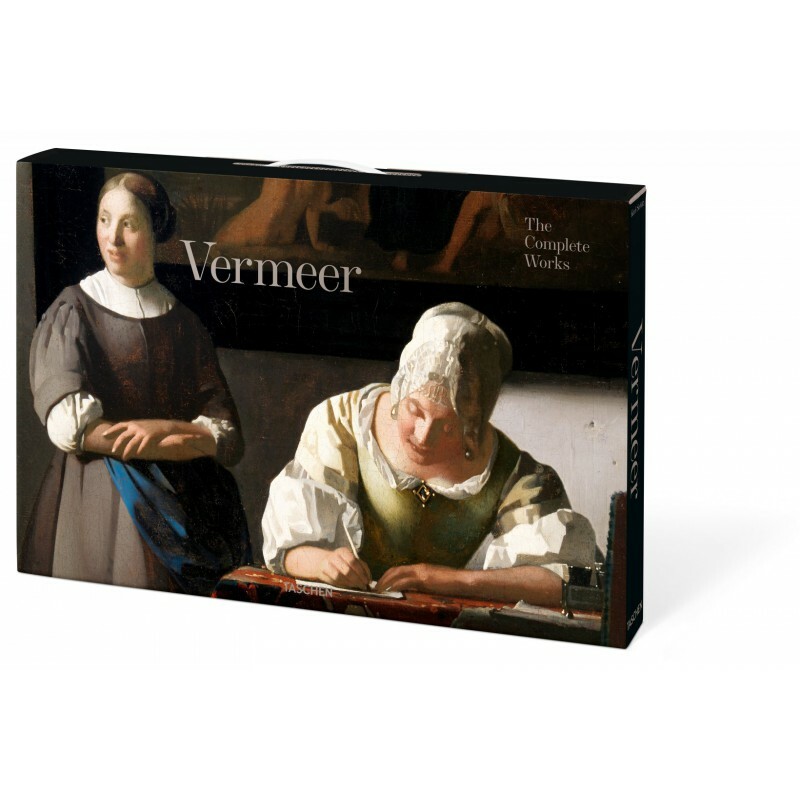 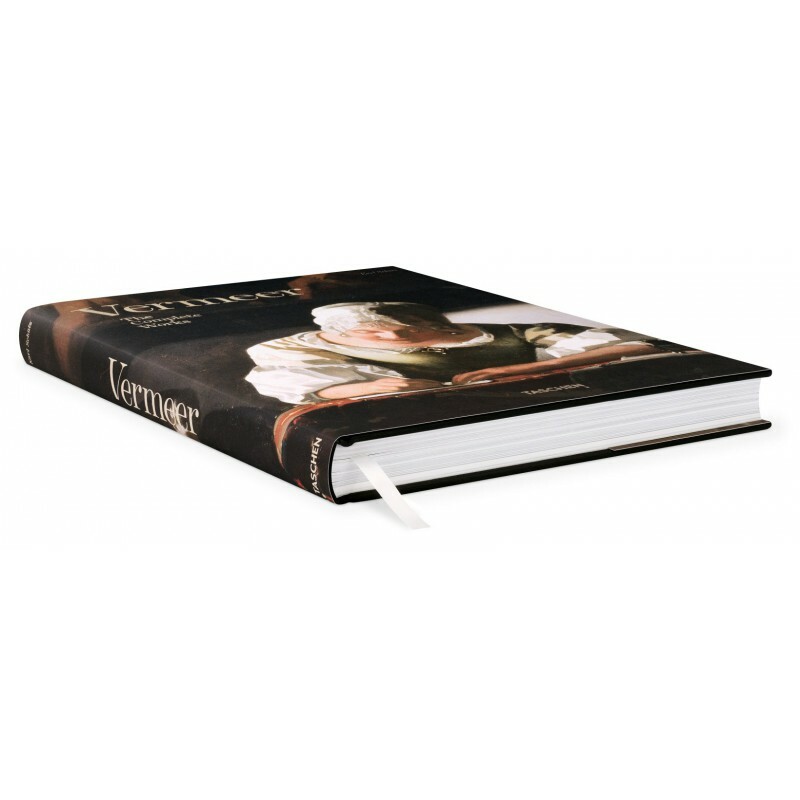 This XL edition brings together the complete catalog of Vermeer’s work, presenting the calm yet compelling scenes so treasured in galleries across Europe and the United States into an edition of utmost reproduction quality. 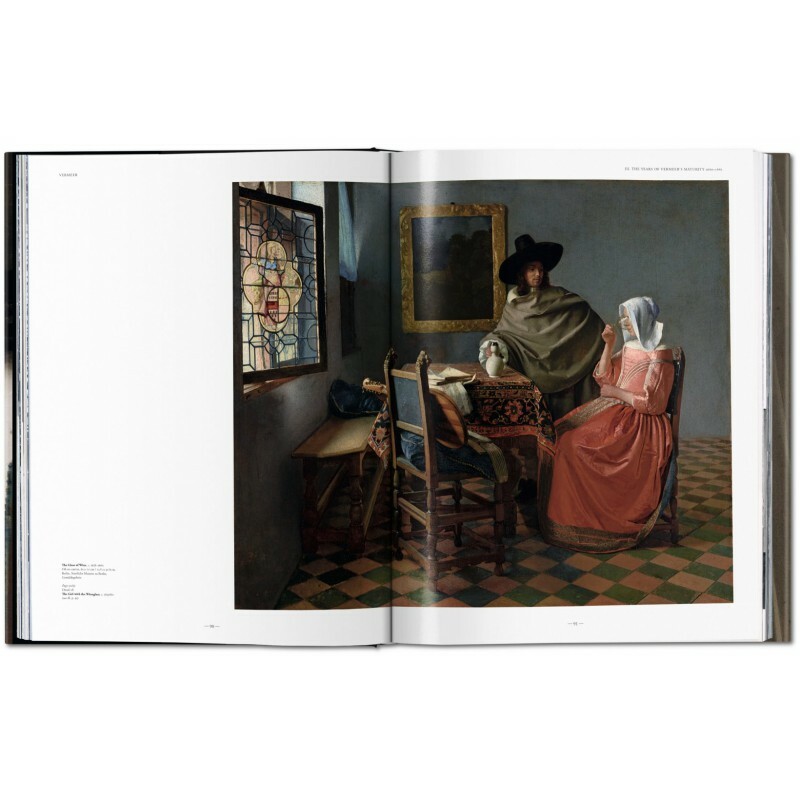 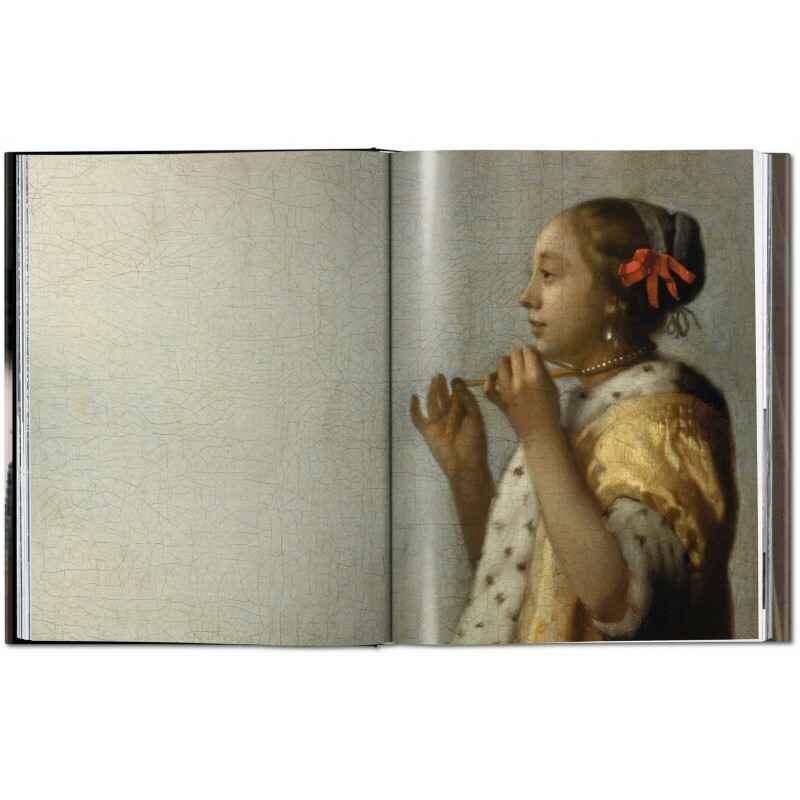 Vermeer’s restrained but richly evocative repertoire of domestic actions – ranging from letter writing to music making to preparations in the kitchen – unfolds in a generous format, and three fold-out spreads are included. 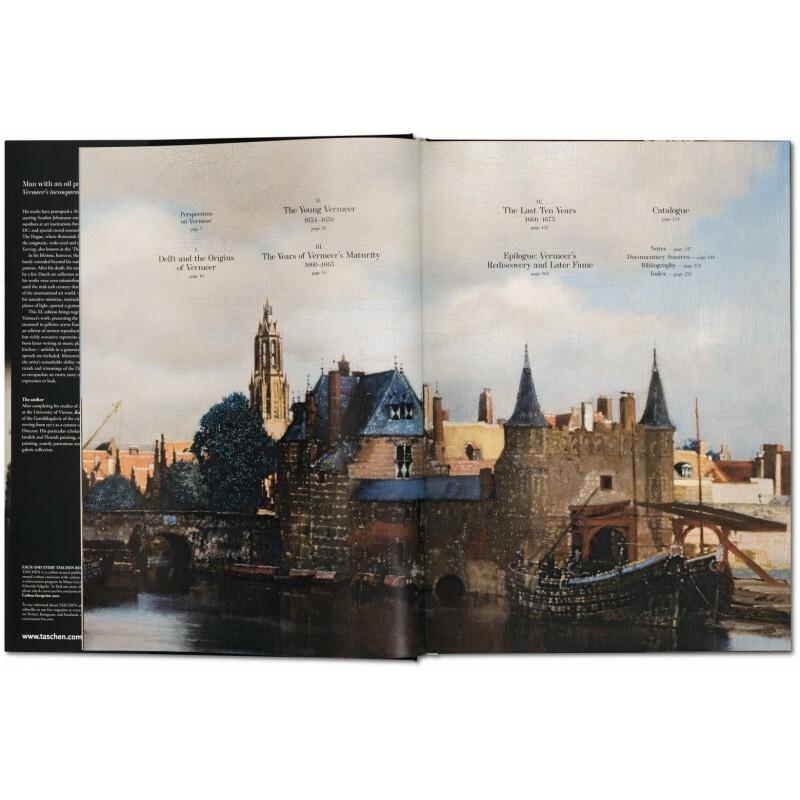 Moreover, numerous details emphasize the artist’s remarkable ability not only to bear witness to the trends and trimmings of the Dutch Golden Age but also to encapsulate an entire story in just one transient gesture, expression, or look. 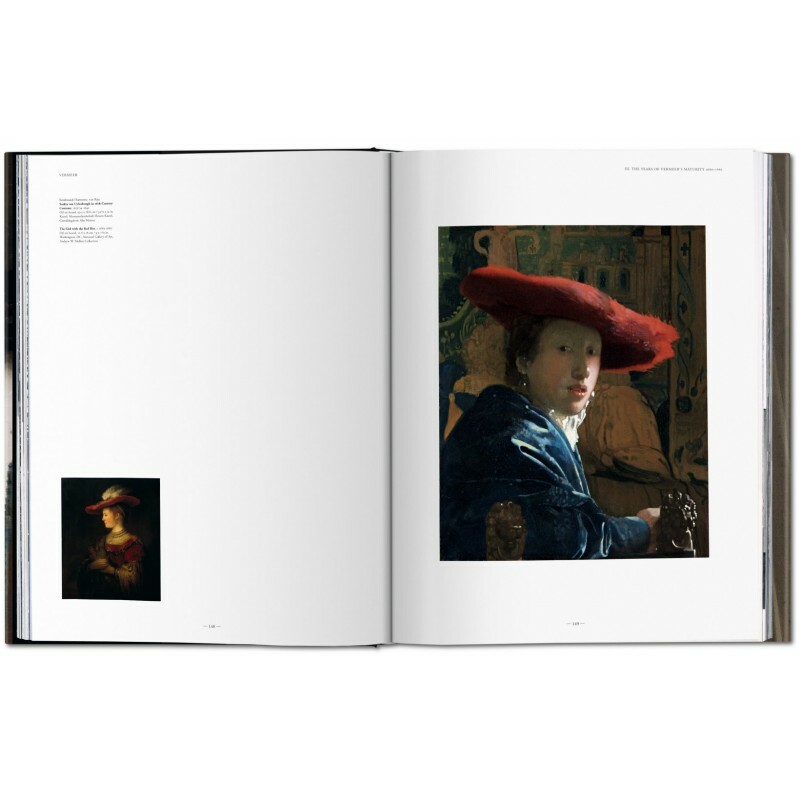 After completing his studies of Art History and Archaeology at the University of Vienna, Karl Schütz joined the staff of the Gemäldegalerie of the city's Kunsthistorisches Museum, serving from 1972 as a curator and from 1990 to 2011 as its Director. 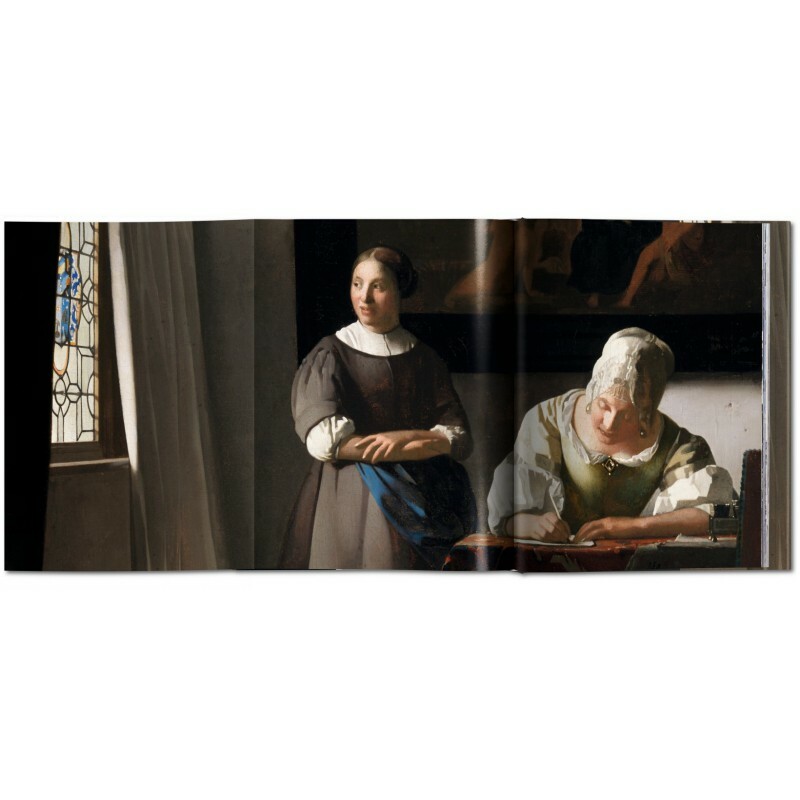 His particular scholarly interests include Netherlandish and Flemish painting, early-16th-century German painting, courtly portraiture and the history of the Gemäldegalerie collection.